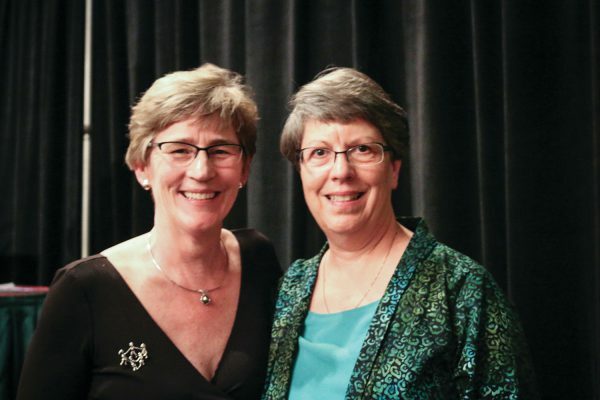 Hanna Vaandering began her career as an educator as a student teacher in the classroom of Beaverton EA member Karen Lally, pictured above. 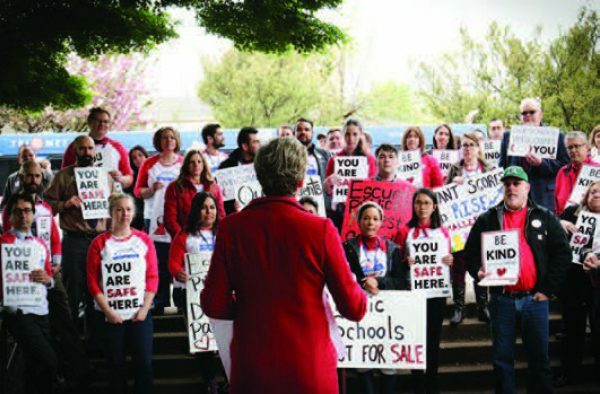 Hanna Vaandering rallies a crowd of educators at Atkinson Elementary during OEA's May Day event, advocating for safe schools for all students. It is hard to believe how quickly these four years have passed. Thank you for the faith and support you have provided; it has been an honor to represent our 44,000 members. These have been challenging times, and we have had to make some very difficult decisions, but I believe we are a stronger union today because we have pushed one another to do the right thing for our students, our members, and public education. I am proud of the many accomplishments of OEA during my time in office. The adoption of our mission, vision, and core values; the work of our Strategic Action Plan to engage and empower our members; our teams’ work to author The New Path for a balanced system of assessment; our Class Size and Better Oregon campaigns. We have done some amazing work, and it couldn’t have happened without the dedication and commitment of members, leaders, and staff across this great state. While we have much to celebrate, I am sorry to say that we are not done! As of June 14, 2017, the budget proposal being moved through the Oregon Legislature will devastate our schools and leave our students once again with less than adequate supports. At the same time, we are being attacked by corporations who want to continue to enjoy some of the lowest corporate tax rates in the nation. So, what do we do? We organize and stay focused on our goal of building the schools our students deserve! Your voice and your actions are key to our success. We must reform our tax system; we must ensure that corporations pay their fair share. We must be the leaders in implementing Every Student Succeeds Act; we must make sure that every student, no matter where they live, the color of their skin, or the language they speak, has access to a quality public education in Oregon. I believe that we, Team OEA — 44,000 members standing together, can make this happen. The trials that lie ahead are great, but I know that the team we have in place to carry our work forward is up to the challenge. Team OEA will not stop until we have built the Schools our Students Deserve! Thank you again for the honor of representing you as President of the Oregon Education Association for the past four years. It has been a true privilege.